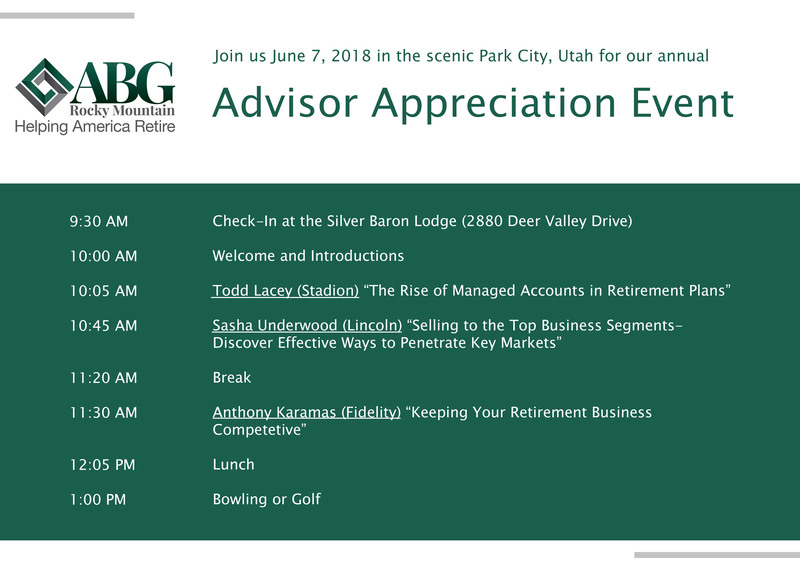 Our annual Advisor Appreciation Event for 2018 is only a few short days away! We are proud to release the schedule for this year's activities. It's not too late to register, so CLICK HERE to register today! Entrepreneurs are the life-blood that stimulate our economy. Their innovation and drive increase the products that we have available to us, improve our standard of living, and create jobs for the next generation. There are a hundred-and-one details that they are responsible for managing. While it can be easy to get caught up in the details, saving for retirement is a crucial "big picture idea" that cannot be overlooked.